As this is the last week before the Christmas party season begins in earnest, the phones have been busy with the annual last minute panic! We tend to find that clients and event organisers have been concentrating on aspects such as venue finding and menu tastings for their Christmas meeting or party. Once those essentials are sorted, organisers tend to suddenly realize that they need to add the ‘icing on the cake’. This is exactly where we come in. Each year at this time, we get asked to provide last minute team activities that celebrate end-of-year success or come up with Christmas party ideas that are new. We are very used to delivering Christmas-themed events with very little fuss. Our events are designed to bring you maximum seasonal entertainment and effect without the need for any tricky technology or cumbersome equipment. All of our most popular events, including drumming, Haka, team singing and Thriller, all bring people together and galvanize team spirit. This makes them a perfect choice for final meetings before the holidays. Of course, we have specially designed festive team events that are tailor made for this time of year too. Christmas Carol Chaos or bell ringing are great fun and add just the right amount of festive team challenge. For evening Christmas parties, there is our bespoke Secret Singing Santa or Singing Waiters to choose from. Your dinner guests will be stunned at the talent and antics of one of our West End performers disguised as Santa or the moment that our undercover waiters reveal themselves as amazing singers. If you want to add even more audience participation, there is also Crashing Waiters, where our undercover venue staff transform everyone into a kitchen utensil orchestra. So, good luck everyone out there with your final Christmas plans and no doubt we will be hearing from some of you over the next few weeks. Don’t panic. We’ll make it work! 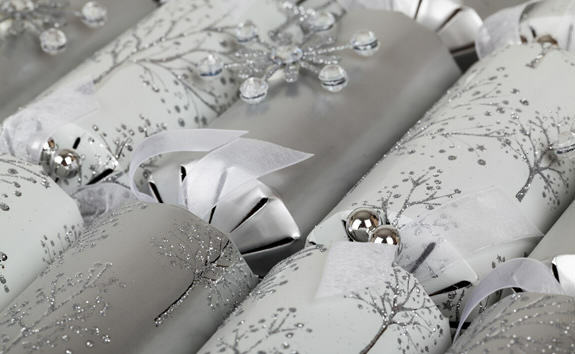 For more information about our Christmas team events, please Contact Us now.